SITTING AND WAITING… — Gabbi & Co.
We couldn’t wait to turn the home into our home. You guys saw the before pictures. There was just so much potential! I had tons of ideas swirling in my head for the remodel. 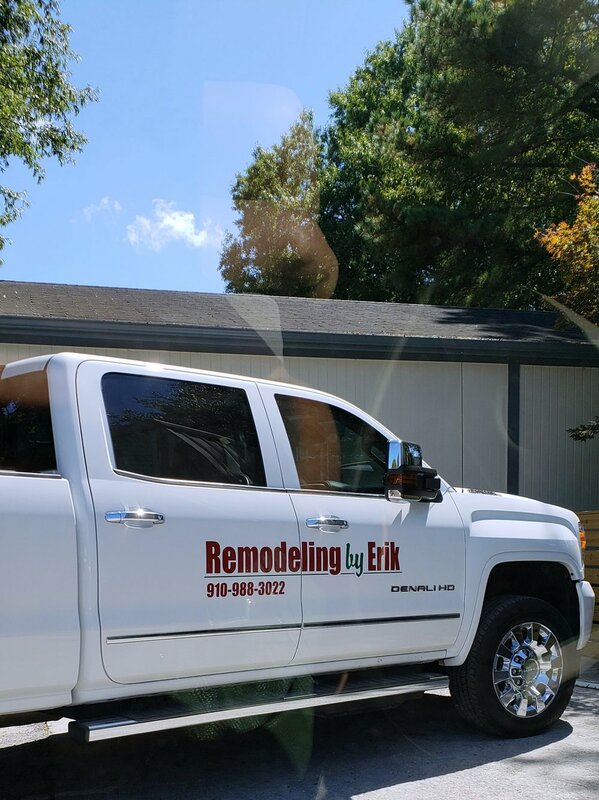 We met with Remodeling by Erik and did a walkthrough of our house in August. They turned around an estimate for us within a few days and we took some time to narrow the work down based on two things: 1) our budget (you know, since we haven’t yet figured out how to grow that money tree in our backyard) and 2) which items we wanted to tackle before moving into the house. Once we had that squared away, we met with RBE one last time to finalize details and sign the contract September 5th. While we were at the meeting, we were thrilled to hear that they may have some openings in their schedule the coming week to get started. It was music to our ears. 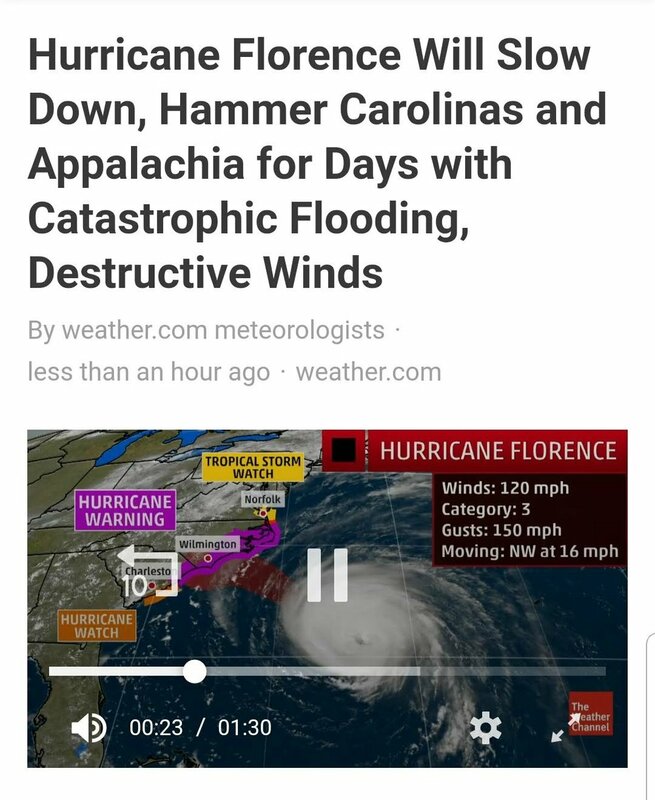 Unfortunately, that music quickly faded the over the next few days as we began to hear reports of a possible hurricane heading our way…which turned into a devastating storm on a path to make landfall in our dear city of Wilmington. 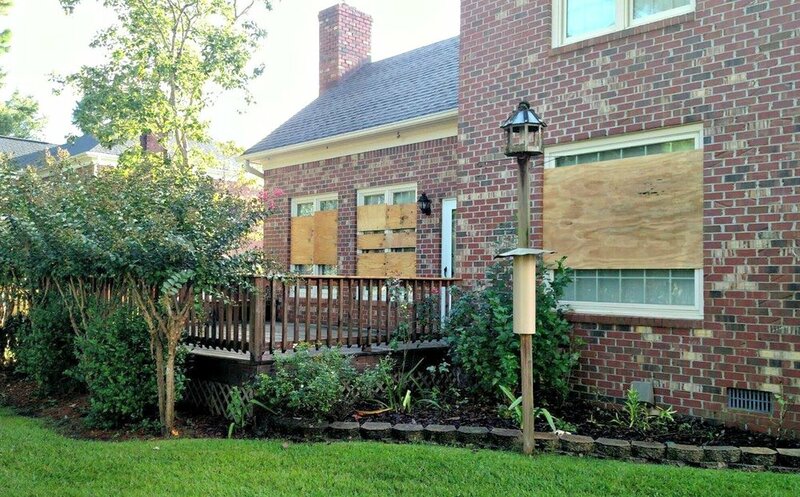 Our focus quickly shifted gears from remodeling excitement to preparing as best we could for the arrival of hurricane Florence. Now we may have just moved to the southeastern coast of North Carolina, but we are no strangers to hurricanes. The day after we closed on our fixer upper in New Jersey, hurricane Irene hit and devastated many areas of our former state. Fast-forward just over a year and we were hit again by a devastating storm, hurricane Sandy. Even though we witnessed those two storms, this hurricane felt much different. 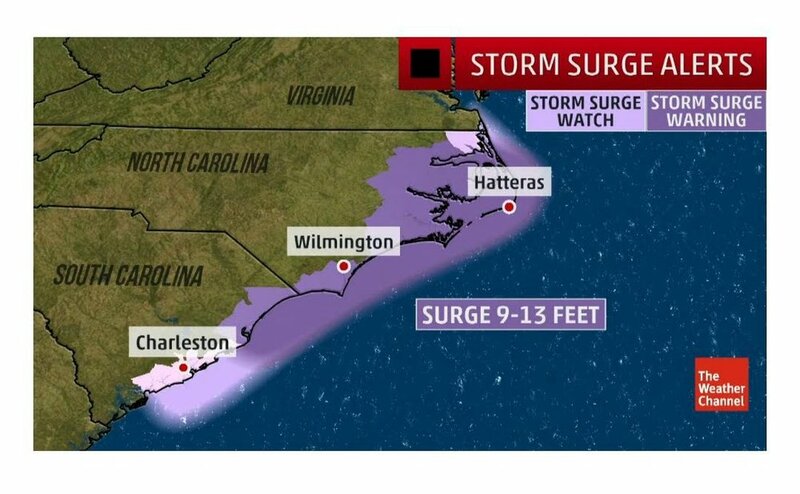 We never lived near the coast during the other storms. Now we just bought a house only 3 miles from the ocean (as the crow flies) and were temporarily staying at my parent’s house which is even closer to the water. Evacuation orders, predictions of wind speeds, ocean surges and potentially 40+ inches of rain…it all had us shook. Then there were the extra layers of fear we were feeling since we were not yet in our home and we had no idea when we’d be able to get eyes on our home and city. Add in our choice to eat the way we do (whole food, plant-based) and I was unsure how to properly prepare for and navigate feeding us properly through the unpredictable and stressful event. First things first, we headed up to our house and removed all of the window screens (which could easily turn into projectiles), brought all the potted plants left by the previous owners inside and sorted through the hurricane shutters (aka cut-to-size pieces of plywood) that were kindly left behind for us. We were puzzled trying to figure out how we would accomplish hanging all of our hurricane shutters since it was such a massive project and there were not enough hours left in the day. Thankfully, we have the most amazing neighbors who generously put the shutters up for us the next day so we didn’t have to travel back up to the city. It was super helpful since gas lines already started forming at every gas station, and we were, quite frankly, unprepared for such an undertaking since we did not yet live there.